Pack 159 serves male and female youth from K to 5th grade. Students generally come from both Jollyville and Pond Springs Elementary Schools along with the surrounding neighborhoods in Austin, Texas. If you are interested in joining, Pack 159 typically on-boards new Cub Scouts in the Fall with our Join Scouting Night (JSN) events. 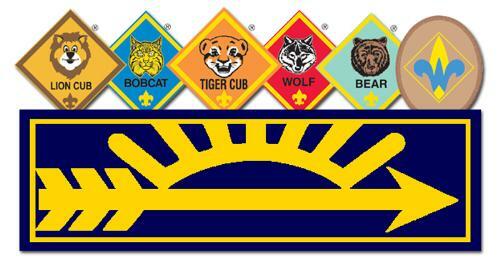 However youth can join a Cub Scout Pack at any time during the year. The Pack has a New Family Welcome Packet available for prospective and new Scout families. Pack 159 uses Scoutbook for rosters, advancement, calendaring, and other Pack business. As a parent of a registered Cub Scout, you should have an invite in your e-mail from Scoutbook for finalizing your account's creation. If not, please use the Contact Us link on this page to obtain help. Scoutbook has become the official source of record for rosters, comms, calendars, advancement, and other items. The Pack roster, e-mail lists, and calendars on thie website are no longer actively maintained. If you are a Leader or a Parent looking to use the roster, e-mail, or calendar on this website ... please use Scoutbook instead. All Scout families should have invites in their e-mail boxes inviting them to finalize setting up their login to Scoutbook. Any questions, please reach out to your Den Leader. UPDATE Unfortunately our Fall Pack Famiily Campout is hereby cancelled. We wll reschedule to a later, drier date. Thanks. Our Pack's Fall Campout scheduled for Sept 7th - 9th at Cub World at Camp Tom Wooten in Bastrop is quickly approaching. Registration and payment are due by noon on Sept 5! NOTE: We are not registering this year via the calendar item on the pack website. This is being done via the above Square link. Please pay attention to the notes on the campout item page. NOTE: List of confirmed attendees. Please read the Camp Out Packet for information and logistics. Looking forward to it! Scouts will be meeting for their first Pack meeting of the year on Wednesday, 8/29. We will be meeting this year at 6:30 at the Pond Springs Elementary Cafeteria. Note that Pack Meetings are 30 minutes earlier this year based upon parent feedback. Returning Scouts will be able to sign up for the year and pay dues. We will be accepting cash/check/credit card on-site. If returning Scouts want to skip the line and renew online, visit our Pack's Pay Portal to remit payment. Even if you are not signed up with the Pack but are interested, you are encouraged to attend to meet the Pack and sign up onsite. We will be covering our upcoming Fall Pack Family Campout and other Pack activities. Excited to meet our new and potential Pack families! Join your Pack in the park for Games, Popsicles, and more! We are meeting at Rattan Creek Park at 6pm on Friday, 8/17. We will be accepting registration for this scouting year and hope to recruit new scouts (boys and girls and kindergartners!). Pass along the word to your friends and neighbors! Our Pack's Spring Campout scheduled for March 24th at LCRA Shaffer Bend Recreation Area is quickly approaching. Registration and payment are due by March 21st! NOTE: We are not registering this year via the calendar item on the pack website. This is being done via the above Square link. Please read the Camp Out Packet in its entirety as registration, payment, and uniform requirements have important changes. Families must register and pay by March 21st or they will not be included in the camp out roster. There is a schedule of events and check in information included at the end of the packet. February in Cub Scouting means two things. Arrow of Light Crossover and Blue & Gold! This year your Pack has split this up into two events, and each event looks to be better than ever! Details around logistics for these events can be found here. Any questions, reach out to the organizers listed at the bottom of that document. This is going to be great! Do your best, every day!